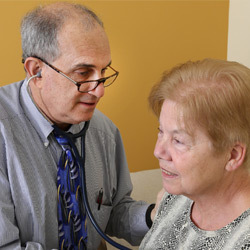 Comprehensive Cardiology provides quality cardiovascular care for patients while employing a personal and caring approach. The cardiologists work in collaboration with your primary care physicians to ensure the cardiovascular well-being of the patients. As consultants, we perform specialized procedures and testing in both the outpatient and inpatient settings. Our staff can help you understand your diagnosis and treatment options. We offer conveniently scheduled appointments and manage your insurance claims and referrals. Whether you are a current or a prospective patient, please feel free to give us a call for more information about our staff and services. You may also view or download our brochure. Questions? Call us or request an appointment today!